19-20 BrightPay facilitates the importing of a mix of payments, additions and deductions in a single CSV file. This offers an alternative to the importing of different kinds of pay items (period payments, hourly payments, additions, deductions, etc) in single runs. Up to 5 pay items can be imported for each category of pay item. 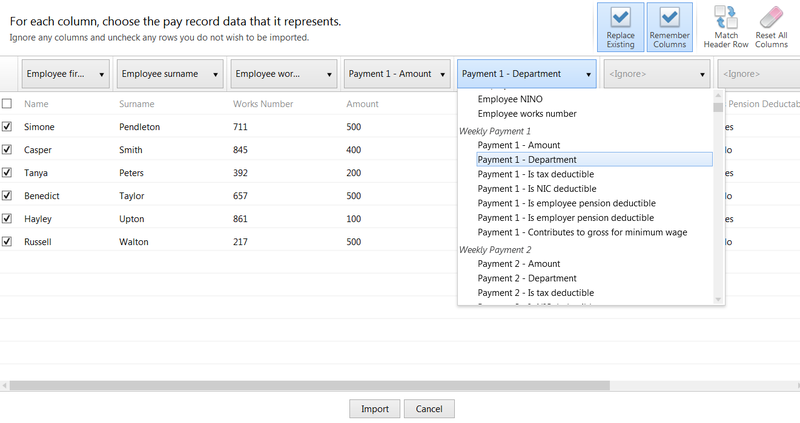 A comprehensive list of pay record data can be imported into BrightPay for each category of pay item. Please click here to view the file specification and listing of pay record data that can be included on the CSV file.